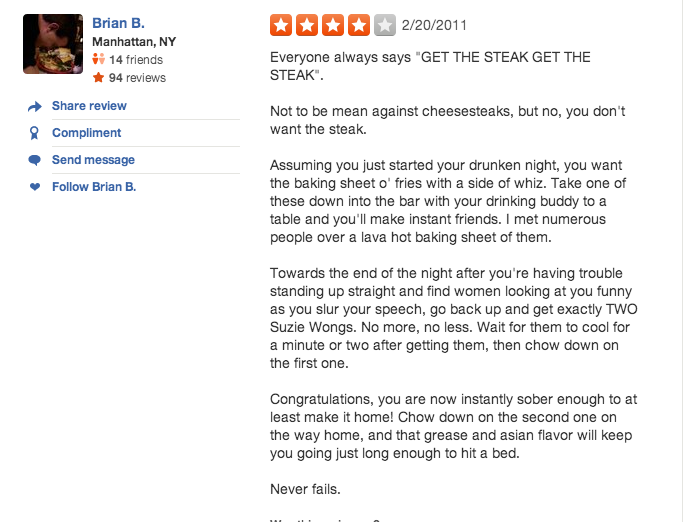 On any day of the week, Ernie’s Cheesesteaks is brimming with patrons both sober and intoxicated. But it’s not just cheesesteaks they’re after. Suzie Wong egg rolls are a State College favorite, and can only be found locally, including at Ernie’s. The egg rolls are spoken about with a certain reverence for those who have discovered them, and the online reviews are all glowing. An egg roll that can reverse spaghetti legs? No wonder they’re so popular. The Wong family has been making egg rolls for the State College community since 1970, and even had their own restaurants on Atherton Street and in downtown State College, eventually moving to wholesale and catering. Although no public list exists of their distribution, many local restaurants have the delicacies on their menu if you look hard enough. When I called to speak further about the family business, Suzie Wong herself answered the phone and politely declined to speak about her product. “Oh, that’s so sweet, but we’re really busy, so I’m going to have to decline. Thanks, bye!” Click. There was no time to muster a response. A few days later, I drove down Aaron drive, found Suzy Wong Egg Rolls, only to be shot down again. How about a time next week? Luckily, Kit Henshaw, co-owner of Harrison’s Wine Grill & Catering, is a close friend of Suzie Wong and was able to give me the low-down on Wong’s storied history. Harrison’s has been operating since 2000 and has carried Suzie Wong egg rolls since the beginning. Although today Suzie Wong egg rolls seem to have more of an inebriated connotation, they are a State College culinary classic. Senior. Print Journalism Major, Spanish Minor. My only childhood memory involves me playing with a toy circus car.